Business-to-Business area or B2B marketing size is much bigger than the Business to Consumer (B2C) marketing. 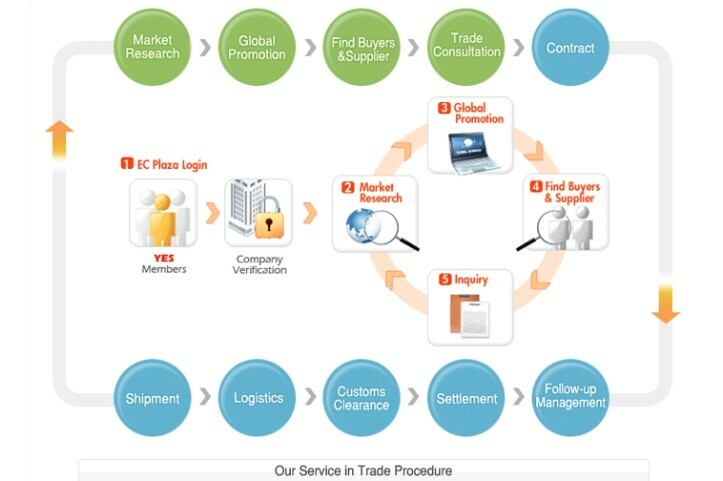 Because a B2B product comes on the deal after comprising many other backward linked products (such as raw materials) and each of the linked product has a unique B2B market as well. Unfortunately, the involvement with the B2B marketing is surprisingly thin than B2C eCommerce. Why? There are many reasons including lack of experience and lack of knowledge base to take any risk on the big deals as well. Another reason might be investment capability. But habitual ignorance comes out from thinking the sector as a big brother’s deal. No, it is mostly wrong regarding this king sector. There are tons of potential in the B2B world every wantrepreneur should take a look before jumping into the business to consumer (B2C) profession. Business to Business (B2B) marketing is a set of deals include processes selling or buying of goods or services that happen between two companies, not to any customers or end users. In cross-border business marketing practices, the goods are usually exported to the parties who used to re-sell them to the retailers or end-users or customers or value-adding manufacturing companies. Whoever you are, a manufacturer, trader, mediator, importer or wholesale distributor; all you need to set your profit goal of the B2B deal. It reveals on the basis of your various expenditure, product cost, and present market price. It is a tough job though, require good practice, price trending knowledge base, market price behavior, and related knowledge of the things that have as a usual effect on the particular product price. A sagacious importer or exporter keeps up the information on present any situation that affects the pricing of a particular product. If your deal is bulk enough, need to know carrier cost or shipping cost. It might be changed on the basis of oil price changes in the world market. Likewise, the net cost of the product also might be changed on the basis of raw material cost hike or down. There are few more things are associated with a practical pricing that varies on product nature and ongoing price in the target market. On the importers’ part, existing market price and future prediction work on the profit goal. If you are an importer or want to be an importer, you obviously need to create a surefire list of the effective things for price determination. In this article, I’ll show you the ways how you can go through your B2B deal that earns significant revenue. In this regard, I’ll direct you some 4 best practices to approaches to win the deal. Make sure you have a bonafide business website. And, all the worthy things are well furnished with authentic information, certification, image, video clips or other valuables quite relevant to your business deal you need to keep up. (b) Trader: You sell your product through the agents or direct to wholesalers or distributors or importers. (c) Importer (Whole Seller/Distributor): You import products through an agent or direct from trader or manufacturer. (d) Agent: You mediate the deal behalf of exporter (manufacturer or trader) to the importer (whole seller or value adding company). In order to use the platforms adequately, all you need to keep visiting the sites, watching their deals, understanding the corporate cultures, gathering your professional knowledge base, noting the special leverages, as much as possible taking the chances, and increasing the ability to deal the businesses. The world recognized top B2B marketing e-commerce platforms are remarkably very few in numbers. Let’s know the platforms shortly. The world’s largest and branded b2b global e-commerce platform Alibaba was started its journey in 1999. It has A2Z all sorts of products in 40 broad categories. Alibaba suppliers are obtaining daily average 100K+ messages from more than 190 countries and regions. Remarkable that Alibaba Group has 10 associated companies, name as Taobao, Tmall, Juhuasuan, Alimama, Aliyun, Alipay, China Smart Logistics, 1688.com, including Alibaba and Aliexpress. Among them, Alibaba and Aliexpress are the platforms pay leverage cross-border e-commerce. China-based Alibaba International extended its service worldwide in many languages including English. It has Spanish, French, Italian, Portuguese, German, Hindi, Russian, Korean, Thai, Turkish, Japanese, Arabic, Indonesian, Dutch, and Vietnamese and Hebrew language platform. It plays important role in China stepping towards introducing a new international market. Simultaneously, it also created huge opportunities for the worldwide industries to export products to China as well. In fact, as a trustiest B2B platform, Alibaba generated it’s conglomeration on the basis of focus as it’s the heartiest principal. That is why about no one being deprived of matching deal on Alibaba. Global Sources is incorporated in Singapore, a leading B2B media primarily facilitate greater china trades including Asia and the World. It has more than 1.5 million buyers. It facilitates integrated marketing solution to the suppliers to build their business brand, generate sales leads, and obtain sales orders from the buyers of more than 240 countries and global zones. Global Sources has more than 46 years of professional service to the top trusted companies, buyers, and a whole community. eWorldTrade is an over 10 years of age up growing B2B Marketplace with over 0.5 million registered users. They are promising to create a global competitive atmosphere among manufacturers, suppliers, companies, traders, and buyers within better integrated B2B marketing advantages. It is one of the outstanding B2B portal linking to the bonafide buyers with influential digital leverage, and service advantages for generating better brand by the sellers as well. HKTDC stand for Hong Kong Trade Development Council was founded in 1966 as a helping hand to the Hong Kong-based manufacturers, suppliers and traders. Now it promotes Hong Kong products and services, provide product magazines, Business matching support, marketing honking brands on China mainland and operates B2B services with global partnerships. It organizes more than 320 trade fairs, 590 outreach events based on networking, and gets more than 650 trade missions. This platform enables to connect business clients and global partners to help to the Hong Kong SMEs. HKTDC invites in it’s B2B Showcasing Hong Kong services to the world to explore and connect to boost HK’s SME capabilities. You’ll find the best beautiful interface and user experience in this media for searching your matchable products. EC Plaza is a well branded global B2B platform started in 1996. In terms of online + offline trading service, they are the No.1 leader of the B2B marketplaces with their 1 million registered members. It has about 1.2 million sellers worldwide with their 33 million product listings, 10 million buyer companies from more than 230 countries and territories. They enable both parties to buy and sell in a cost-effective easy all-in-one solution for every business. It also provides secure payment services, escrow protection services, logistics solutions, and online financing. DHgate claims, they find transaction is being happened every 3 seconds. they cover the languages are English, French, German, Italian, Portuguese, Russian, Spanish. They have a partnership in each dealings with American Express, MasterCard, Visa, UPS, DHL, and FedEx. IndiaMART is a B2B, B2C and C2C web platform, founded in 1996 with its company slogan “to make doing business easy”. It has 4.2 million suppliers profile for more than 50 million buyers with 50+ million of categorized products. IndiaMART provides payment protection program for the buyers and Instant Payment gateway for the suppliers. Kinnek is B2B hi-tech supported e-commerce marketplace. It was founded in 2012 by NY Tech Alliance to provide leverage to the Small Business owners to buy their reselling goods saving time and money. It works smartly to resolve any stuck in purchasing products. Kinnek enables buyers to research on their expected product, connect with the high potential suppliers, get handy quotes, analysis the price-offers, bargain the price with the sellers – all in a single place. They leverage using hi-tech for a profound business environment that makes easy to buy goods from the bonafide suppliers. Tradekey has started its journey in 2006 with its global slogan “Help the world do business smartly”. It facilitates a quality B2B platform that leverages to the buyers & sellers, importers & exporters, manufacturers & Traders all sort of parties. It is one of the largest global eMarketplace media for more than 240 importing and exporting countries. TradeKey facilitates both parties to connect each others using a powerful search engine, unique service, trade matching and latest promotional tools. It maintains a professional quality standard that earned ISO certification for ISO 9001 quality management and ISO 27001 Information Security System all about customers data safety and satisfaction. TradeKey B2B eMarketplace enables parties to read the site in English, Japanese, Arabic, Chinese, Rusian, and Spanish. One of the leading 3rd party B2B e-commerce media Made-In-China was started it’s mission in 1998 with the slogan “To facilitate global trade between worldwide buyers and Chinese suppliers.”. It is another one magnificent portal that leverages global B2B deal offering high-quality products and suppliers information from Chine for global importers. 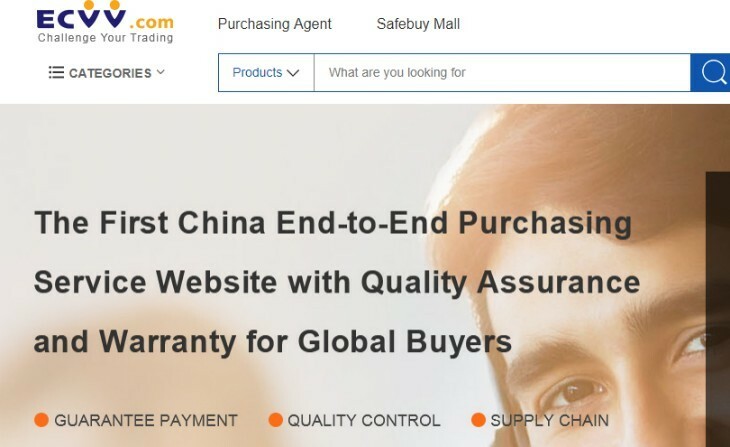 Made-in-China enables to remove connection-gap between Chinese sellers and global buyers. It’s 27 main categories with 3,600 sub-categories product information. It connects with the wide range of buyers through 11 languages globally. TradeIndia has started it’s journey in 1996 to leverage the Indian Businesses as a powerful platform to promote their product globally. Now it has worldwide more than 4.2 million registered users. TradeIndia contains a huge number of suppliers, manufacturers and trading companies with totaling 2256 different categories of products. ECVV was founded in 2003 with a slogan “Challenge Your Trading” as a B2B international trade platform. It leverages SME businesses for internet-based trade. It has more than 2.5 million registered users from more than 220 countries. They are recommended by China, The USA and others as a global bonafide e-commerce platform. If you’re a beginner, you might sign up in the Business to Business e-commerce sites for their regular updates. The important information circulation in the newsletters can enrich your b2b marketing capabilities. Sometimes, they circulate a special bonus on their clever offers or premium membership updates. The subscription will help you to get knowledge of any sort of smart new business opportunities. (i) Most of them leverage you to build a business profile like a mini website. (ii) They provide powerful tools to use your buyers to find you on the platform. (iii) There are some other digital services are being offered to facilitate your business. (iv) The portals help not only meet with the sellers, your wholesale buyers as well. (v) Some of your wholesale buyers go there to find the price idea as well as your company. 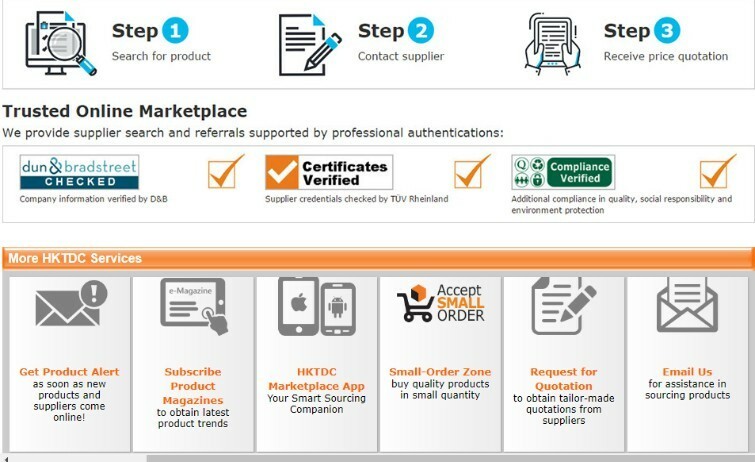 (vi) Your verified (while paid registered) profile provides trust to your wholesale buyers and manufacturers as well. 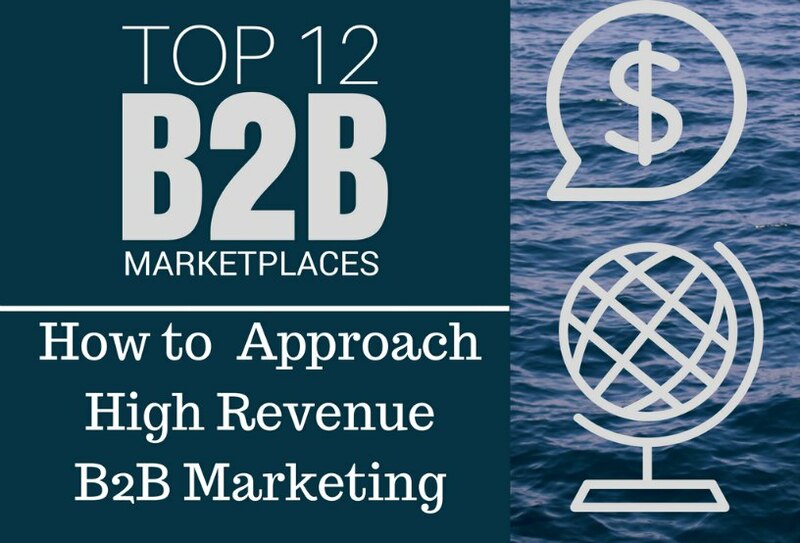 There are many reasons that B2B platforms are the major area to conduct B2B marketing for exploring your business, business parties, and other benefits. Each of the third party B2B eCommerce platforms has a social connection. Even, for all traders, manufacturers, agents, whole sellers, and distributors have social media presence with the professional profile in the major social platforms. Your follow on their presence in the major social media might not only enrich your expertise, helps to build a bilateral relationship as well. That is why now the time is to build your professional profile on LinkedIn, YouTube, Twitter, Facebook, Pinterest and Google Plus. In terms of gathering retail eCommerce buyers, you need to maintain your brand and relationship with the targeted prospects. Besides, you could find some communities in these media to take part in the knowledge share. How to conduct Facebook page marketing. Social media presence is important in terms of brand maintenance focusing on your prolific corporate culture. All your specific SMM will be narrow down subject to your company mission, vision, and goal. LinkedIn is a social media for most of the B2B professionals rather than B2C. It is a hybrid potential area to build employee-employers community. You might take an advantage in creating your B2B company brand following some 10 practices of LinkedIn marketing. Many business profiles, business groups, business articles and business brands are moving there in a frame of various social interactions. 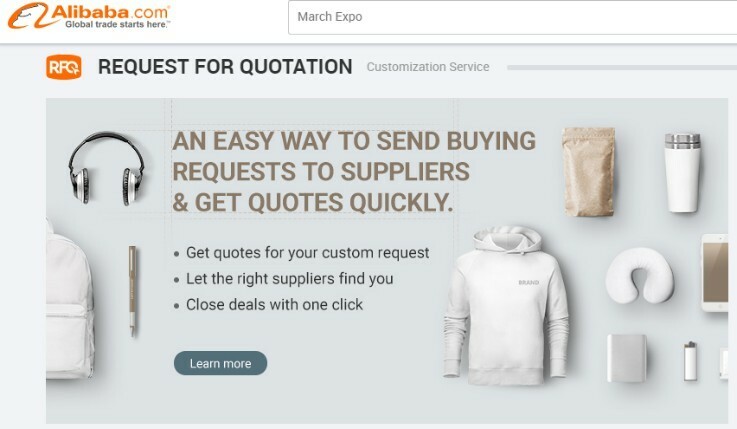 You have a chance to create trustiest retails customer or supplier there while you search the potential parties using appropriate keywords. You have a chance to gather your relevant parties, their leads and various useful information they circulate there regularly, though real business happens on the outside of the LinkedIn box. I do not suggest you use 3rd party tools for LinkedIn to generate leads for B2B business approaches only in case of new GDPR practice in EU countries, you just need to be more careful while you prepare to use a cold mail to any of the potential parties within EU. You might connect the potential contacts checking through their profiles considering top relevancy to your interest. And then, you can contact the potential parties using LinkedIn Messenger. A stranger might become a worthy opt-in prospect as well when you approach the contact following strategic ethics. The best way to generate your party is following relationship marketing as like as Facebook relationship practice. While both of you find the same interest in connection, the relationship will help you to build a better bridge. Then your brand (personal or business) promotion would influence the parties to make them be your trustiest B2B party. According to product type, buyers size depends. Most of the deal covers very few numbers of buyers with large quantity. Whatever the sizes, your customer contact is very important to maintain. In this regard, there are three major ways to keep the buyers in warm relationship providing your update on next delivery or further any help. (i) Email Contact: As a big part of email marketing, using professional email, you can keep the old customers in warm nurture. Every prolific email in a fair interval of time works well for business well-being. Not only to existing customers, it works best on every prospect in terms of rich conversion. (ii) Direct Call as per Relationship: As a CEO or Owner of the company, sometimes a call can work best to maintain a pretty relationship. (iii) Direct Visit: Whether you own self physically can schedule a cordial meet up, or you can engage an employee to visit the importer. It is most effective in the B2B deal that a buyer deserves a pretty care like this. That’s why buyer feels a secure stock for the continuous sales, and maintain the booking for every next deal. World’s largest Q&A platform Quora is a biggest free solution zone for any potential entrepreneurs as well. The entrepreneurs, wantrepreneurs or new entrepreneurs come here asking solution regarding any technical issues on product and services. You have a chance to generate brand awareness of your own company, promoting the product, driving quality traffic through your prolific knowledge share. It helps to get targeted traffic directly to your site as well as through the organic search development. Not only based on b2b eCommerce platform activities or social media approach, you have huge potential to find the well-matched parties using search engines as well. While using appropriate key terms in the Google search, you could find the potential parties to bring them under your relationship umbrella. The reason, nowadays, most of the parties have own business site with better SEO. All you need to pay time for party search and research. Sometimes, checking Google trends you might find your significant data that supercharge your knowledge base in terms of understanding the popularity of a product worldwide. Needless to introduce Google. It is a powerful search tool can provide you with many marketing solutions as well. You might drive more than 70% of your visitors to your business while you optimize your own business site Google friendly. Then, your parties will come to you, using search engines. Product transition time: How much time it needs to effect shipment, and when will reach to you. Other the terms and conditions: As the Sales S/C (Sales Contract) or L/C comprises, and so on. Your quick goal is to well match your requirement with the parties offer. Some of the platforms provide your quality assurance of the product or services, and payment security on behalf of the supplier. You might prior to this sort of leverages. It’ll help you to determine your business decision with more confidence. But never forget to target – your goal of profit margin. Take time to re-calculate your re-selling price with a firm prediction of the price trend (in case) within a future time frame. Any confusion in contract negotiation might give you pain in the future. That’s why you might arrange all your pain points in an explicit sheet in your checking list. It will help you to settle down a profitable deal with contract satisfaction. Never forget, bargaining is the key to B2B deal success. For this purpose, you might take an intense leverage using a special tool that helps you to determine a high profitable price. In my over one decade of B2B deals worldwide, I didn’t yet find a tool like this one. It might change your business-to-business mindset in terms of mitigating high-profit risk. I suggest you might check out ins and outs all the features and providers magnificent support for that tool. I’m sure you’ll not deprive of the better experience to remove any sort of B2B bargaining phobia or profit risk. In terms of secure profit margin including quality assurance with a service commitment, you should take time before going through the process until the negotiation reaches at your happy end. Business to business (B2B) eCommerce is a rich area of business deal becomes easier to nurture the trade due to digital excellence. The best practice business deal includes a trustiest relationship with both parties- buyer and seller. It is best to continue the same source of the supplier in terms of product quality and service that reduce risk. Besides the usage of B2B deal generation, you might use a B2B automation software to make the deal more smart, timely marketable, and comfortable. To win the business all you need to pack the creative knowledge on the specific product or product line so that you can master the deal jubilantly. Is there anything on your B2B mind? Ask me. Please, feel free to share. You might Subscribe Now and stay in touch to receive the next articles.